Tilt and Turn windows are a simple, effective and efficient way to enhance the functionality and security of your Peterborough home. 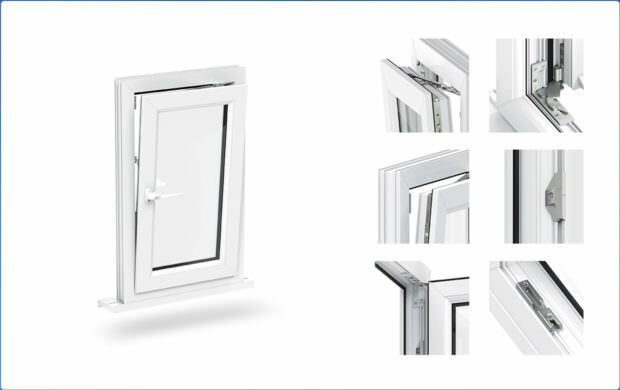 Featuring a unique function that allows you to tilt your window on a 90° angle, Tilt and Turn windows allow for lockable ventilation. This means that you can increase the air-flow throughout your home, without compromising on security. 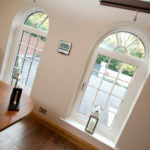 These uPVC Windows are a truly wonderful design. Incredibly adaptable to all types of home, Tilt and Turn windows can provide a large number of benefits to all properties. An example of this is illustrated in their turn ability, which enables easy cleaning for high-rise buildings, as well as upstairs rooms. Not only do our Tilt and Turn Windows enhance functionality, they also utilise all the features of the market-leading uPVC profile from Liniar. 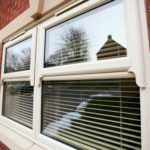 This allows our windows to excel in strength, durability, security and thermal efficiency. We offer our wonderful Tilt and Turn Windows throughout Peterborough, Northamptonshire, Cambridge, Lincolnshire, Buckinghamshire and Milton Keynes. Tilt and Turn windows offer a 90° tilt function which prevents the window from opening fully, and creates enhanced functionality. This feature not only expands usability; it also expands performance. They are a versatile and practical addition to any home. To ensure no unsightly hardware affects the appearance of your Tilt and Turn windows, we install concealed gearing. This not only makes your windows more secure, it also ensures they maintain an attractive, and clean aesthetic. The tilt function stops the window from opening fully, which will enable increased ventilation without compromising on security or safety. This is especially useful for maintaining child-safety, and securing windows that are at street-level. 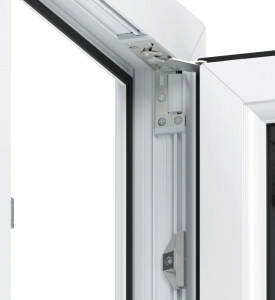 The turn function of our Tilt and Turn windows allows the window to open out fully. This gives easy access to the outside of the window, and easy cleaning of the window face. 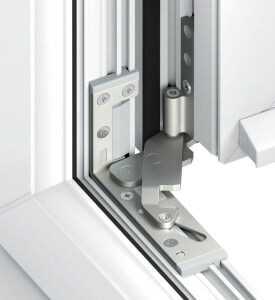 This is ideal for Tilt and Turn windows that are used in high-rise buildings, or as upstairs windows. In order to prevent condensation and improve soundproofing, all of our Tilt and Turn windows are fitted with a continuous rebate gasket. 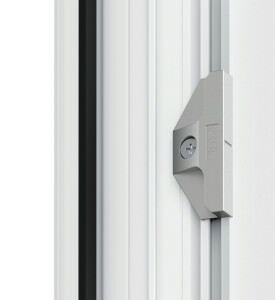 This ensures a high level of comfort in your home, and an enhanced longevity in the life of your Tilt and Turn windows. 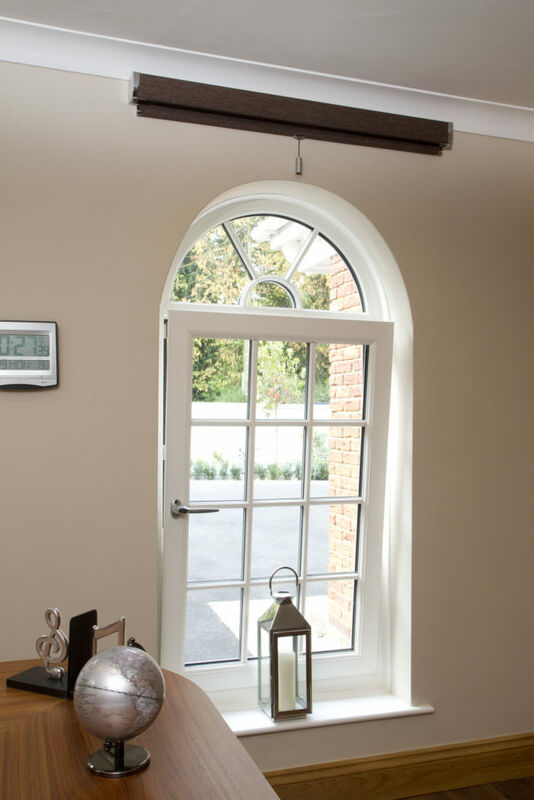 Featuring crisp, clean lines throughout, our Tilt and Turn windows achieve a beautifully European aesthetic. This subtle attention to detail is combined with integrated gearing to give a complete, and beautiful appearance across the board that will fit perfectly into your property. Tilt and Turn windows utilise unique features that really make them stand out. Their wide turn opening will not only allow for greater views and increased air flow; they also allow for an easy to use fire escape in all habitable rooms. 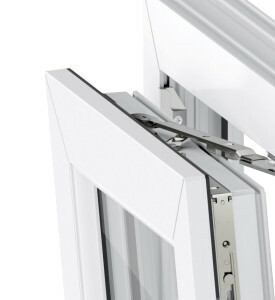 When this is combined with their useful tilt function, they redefine the standards of window performance. This is then combined with the pioneering quality of the Liniar profile, and the unbeatable standard of Yale security to create a window that sets the standard of what uPVC windows can achieve. 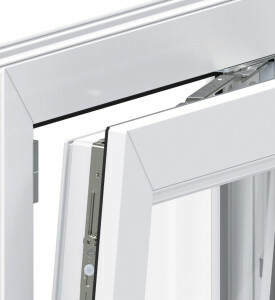 The Liniar profile is the only window profile to have been designed in the 21st century, this means that it is the only option for the most up-to-date window technology. Not only does this profile redefine the specifications of uPVC windows design, it also offers intelligent solutions to age-old window problems. By combing a range of features, the Liniar profile is able to achieve enhanced standards of strength and thermal efficiency. Integrated reinforcing is used to greatly increase robustness and rigidity, and eliminate the need for expensive steel reinforcement. 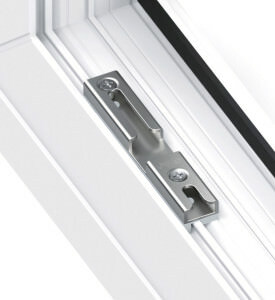 Size-optimised chambers, a unique ‘glazing flipper’ gasket and a thermal dam ensure an A+14 standard of thermal efficiency, which is the best available. Our Tilt and Turn windows are a beautiful, secure and practical addition to any property, which will reduce your heating bills and carbon footprint with their outstanding level of thermal efficiency. 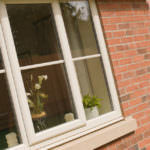 Interested in our Tilt and Turn window prices? Get a free, effortless online quote today and benefit from our exceptionally competitive prices throughout Peterborough, Cambridge, Lincolnshire, Buckinghamshire and Milton Keynes. Alternatively, if you require more information you can get in touch via our online contact form, where a member of our friendly and helpful team will be ready, and happy to help.